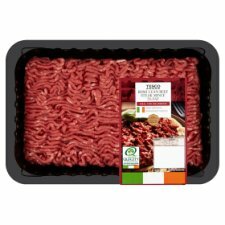 Irish lean beef steak mince. Packaged in a protective atmosphere.Although every care has been taken to remove bones, some may remain.Packaged in a protective atmosphere.Although every care has been taken to remove bones, some may remain. Tip. Before adding ingredients ensure mince is fully browned.